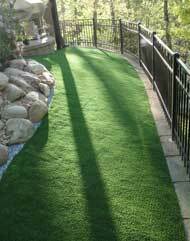 Synthetic Turf for your Lawn. High Safety Standards and Low Maintenance. Pets and Owners in Mind. Free Design Consultation Click Here! 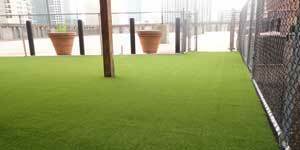 Artificial Grass Installation serving all of Charlotte, Raleigh & Greenville. Everyone wants a lawn that is the envy of the neighborhood, and artificial lawns made from our SYNLawn® synthetic turf provide our customers with just that. 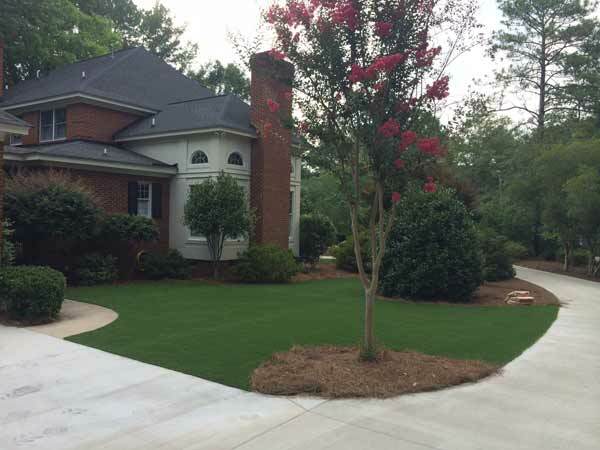 The versatility of our SYNLawn® synthetic turf has been a calling card for Southeast Turf, and is one of the main reasons our landscaping turf is a favorite. Discover for yourself why Southeast Turf’s Charlotte artificial lawns and numerous other synthetic grass applications are a growing favorite among residents of the Carolinas. We’re excited to be an exclusive distributor of SYNLawn® artificial grass, and to bring state-of-the-art grass synthetics to our clients via the most realistic artificial grass you’ll find anywhere. 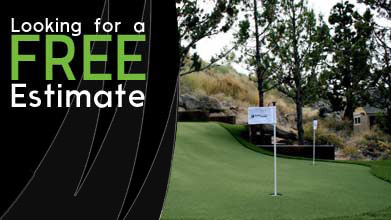 From synthetic lawns to backyard putting greens you’ll discover a wide ranging number of uses for our products. SYNLawn® grass is no ordinary fake grass, as it possesses an incredible durability as well as a sense of environmental responsibility. Our clients consistently find that the path to perfect outdoor spaces begins with making their grass artificial. Call Southeast Turf to learn more today!At Southeast Turf we’re always hard at work looking for new and exciting ways to improve our grass synthetics. Take the time to discover how the SYNLawn® products we carry can revolutionize your outdoor space. 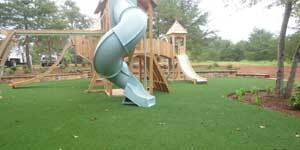 Playground grass for parks, day care centers, play areas, etc. 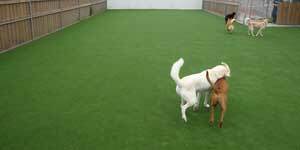 "Covering our dog run with SYNLawn® pet turf has made a huge difference – happier dogs, happier owners! We have a cool, green surface for the dogs to play on all summer long, and the special SYNLawn® turf minimizes the odor"
"One summer has been enough to convince us that investing in SYNLawn® synthetic grass is the best home improvement choice we’ve made in years. While our neighbors have been doing yard work on weekends, we’ve had more time to play!" 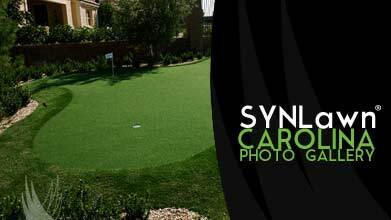 "Putting in SYNLawn® has made our lives so much easier! Now we’ve got a beautiful backyard that we can truly enjoy, with only a tiny fraction of the work we used to put into lawn care." 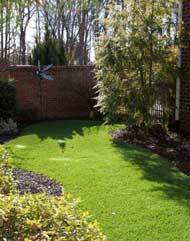 "My parents put in SYNLawn® turf because caring for natural grass had just become too much work at their age. 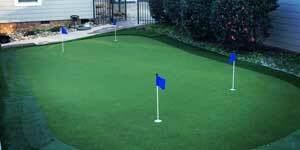 I was so impressed by the SYNLawn® staff and installers, I’m having them make a backyard putting green for me!" Our SYNLawn® artificial grass is more than just synthetic turf. SYNLawn® artificial grass saves not only money and precious resources but allows more free time for you to do the important things in life. Instead of concerning yourself with mowing the lawn on a weekend our artificial landscape turf is virtually maintenance free. No more mowing! 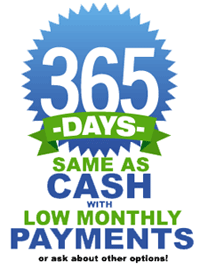 You will not only have more free time, but you’ll also save big on your water bill. Below are only a few points to help outline the additional benefits of installing and why SYNLawn® synthetic grass is the perfect landscaping solution. 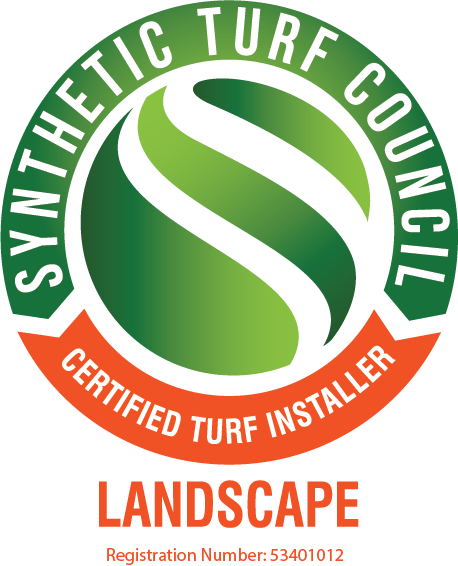 SYNLawn’s® exclusive EnviroLoc™ Backing technology ‘Locks In’ turf fibers for lasting beauty and long life-spans. Scientifically proven, SYNLawn’s® exclusive HeatBlock™ Technology lowers rising temperatures by reflecting sunlight, thus reducing heat build-up and thermal emissivity. It simply looks better, longer. The nylon fibers in SYNLawn® products outlast and out perform all other synthetic turf fibers including polyethylene and polypropylene.